Coldingham, the largest Parish in Berwickshire, is situated in the north east of the County, being bounded on the east by the North Sea, on the south by the Parishes of Eyemouth, Ayton and Chirnside, and on the west by the Parishes of Bunkle, Abbey St. Bathans and the Parish of Cockburnspath to the north. Coldingham Monumental Inscriptions CD includes photographs of gravestones, Hearth Tax, Militia List, Militia Families Vouchers, War Memorials and Rolls of Honour. 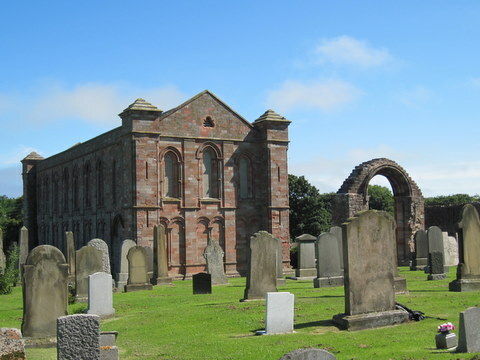 We are currently involved with the Friends of Coldingham Priory in the recording of the gravestone inscriptions. Callants' Capers at St. Abbs by Will Hood (The Southern Annual, 1961). CD Land Ownership Commission Report 1872 -1873. CD Slater's Directory of Berwickshire 1903. CD The John Wood Collection (a collection of 100 photographs of Coldingham and surrounding area taken between 1890 and 1910). Coldingham Miscellaneous Papers published by Lothians Family History Society. Coldingham Mortcloth Records 1694-1759 by Vivienne S Dunstan 1998. Coldingham Priory by T.D. Thomson 1981. Down Memory Lane - by gone days at St. Abbs by Will Hood (The Southern Annual, 1952). 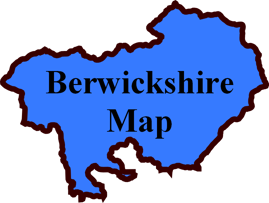 Index to Particular Register of Sasines for Berwickshire. Old Coldingham and St. Abbs by Lawson Wood. Pigot's 1837 Directory of Berwickshire and Roxburghshire. Pre 1855 Memorial Inscriptions of Berwickshire by David Cargill. CD The Churches and Churchyards of Berwickshire by James Robson 1896. The Churches and Churchyards of Berwickshire by G A C Binnie. The Seat at the top of the brae - boyhood days in St. Abbs by Will Hood (The Southern Annual, 1965). The 20 most common surnames on gravestones recorded by us in the Coldingham monumental inscriptions volume are (number of gravestones in brackets): WILSON (84), NISBET (34), AITCHISON (30), PURVES (29), THORBURN (28), HOOD (28), JOHNSTON (27), GRAY (25), ROBERTSON (22), COWE (20), WOOD (20), SCOTT (18), PATERSON (18), PATTERSON (18), CRAIG (17), COCKBURN (16), CHISHOLM (16), SMITH (16), BELL (16), ALLAN (16). The Correspondence, Inventories, account rolls and proceedings of Coldingham edited by James Raine - London 1841. Kirk Session Records of Coldingham by A Thomson (printed in the 1904 transactions of Hawick Archaeological Society). History of the Priory of Coldingham from the earliest date to the present time by William King Hunter - Kelso 1858. A History of Coldingham Priory by Alexander Allan Carr - Edinburgh 1836. Coldingham Parish and Priory by Alexander Thomson - Galashiels 1908. Ebb Tide by Will Wilson Berwick 1980. Grantshouse by Jim Crosbie Kelso 1999. Coldingham and St. Abbs Golf Bazaar Guide (undated) contains details of traders and accommodation to let. Coldingham School Log Book 1873 to 1915 (Ref - B/ED/14/2/1). Coldingham Moor Public School Log Book 1877-1888 (Ref - B/ED/2/11). School Board Minute Books 1883 to 1931 (Ref - B/ED/1/22-27). Auchencrow School Log Book 1864 to 1867 (Ref - SBA/82). Grantshouse School Log Books 1968 to 1972 (Ref - B/ED/2/23). Renton School Log Book 1923 to 1968 (Ref - B/ED/2_). Renton School Log Books 1908 to 1936 (Ref - B/ED/2_). Minutes 1699 to 1709 and 1726 to 1898. Births 1849 to 1940 (Ref - CH3/628). 1759 A plan of the Village of Auchencrow (Ref - RHP.178). 1760 Plan of the the lands of West Renton (Ref - RHP.4088). 1765 Plan of Coldingham Moor with names of adjacent owners (Ref - RPH.62). 1772 The Common or Commonty of Coldingham showing the scheme of Division, Coldingham Village and names of adjacent owners. (Ref - RHP.155). 1783 Rough sketch of part of Coldingham Common showing a proposed road (Ref - RHP.556). 1804 Farm Plan of Temple Hall (Ref - RHP.3281). 1811 Sketch of the lands of Renton under division (Ref - RHP.4096). 1828 Sketch of Coldingham Harbour (Ref - RHP 4244). 1832 Sketch of proposed breakwater at Coldingham (Ref - RHP.4245). 1837 Estate Plan of Templehall (Ref - RHP 837). 1845 Plan of Coldingham Harbour showing planned improvements (Ref - RHP 4246). 1888 Coldingham Harbour (Ref - RHP 4248). Rough sketch of Burnhall Estate (late 19th. century) (Ref - RHP.4222). Vol. 40 Scandal at Auchencrow by William Lillie (an account of an early 18th. century investigation by the Kirk Session - names involved, Bogue, Crooks, Paxton, Purves, Sheriff, Edington). Vol. 41 Bridegrooms, bodies and mortcloths by T.D. Thomson. Vol. 41 Body Snatching at Coldingham Churchyard by G.E. Davidson. Vol. 42 The Division of Coldingham Common in the 1763 to 1776 by G.B. Millican 1983. Vol. 44 William Crow of Netherbyres (c1704-1750) a sketch of his life and work. Vol. 46 A history of the Churches in the Presbytery of Duns by The Rev. Alan C Cartwright, 1995. Vol. 51 The Coldingham Resurrectionist by G.E. Davidson. 1952 Down Memory Lane - by gone days at St. Abbs by Will Hood. 1961 Callants' Capers at St. Abbs by Will Hood. 1965 The Seat at the top of the brae - boyhood days in St. Abbs by Will Hood. 1841 census: Coldingham, Haughhead, Swinwoodmill, East Restonmill, East Reston, Restonhill, Berrybank, Ferney Castle, Stoneshiel, Reston Mains, Berryhaugs, Reston, Wood Law, New Mains, Greenhead, Fair Law, Houburn, Shawbraes, Coveheugh, Bankhead, Walkmill, Greenburn, Auchencrow, Sunnyside, Swansfield, Walow Bank, Horsely, Bankhouse, Brockholes, Harelawside, Renton, Renton Barns, Howpark, Alton, Greenwood, Renton Deanfoot, South Renton, Renton Bush, Houndwood, Bee Edge, Cairncross, Blackhill, Hillend, Lemington, Mountalban, Bog Bank, South Grange, Grange, Press Castle, Press,Whitcross, Clayhall, Ale Mill, Highlaws, Biglaw Burn, Halydown, Fleurs, Fleuars, Paddockmire, East Law, Homefield, Law, Northfield, Shore Village, Milldown, Townhead, Cross Gate, Muirside, Coldingham Lone, Bogangreen, Burnhall, Templehall, Abbey Park, Silverwells, Buskenbrae, Crosslaw, Northfallow Know, Southfallow Know, Huxton, Moorhouse, Dowlaw, Lumsdain, Westerside, West Loch, Pilmuir, Blackpotts. 1851 census: Coldingham, Stoneshiel, Ferney Castle, Fairneybank, Berrybank, Reston Hill, Reston, Swinewood Mill, Heughhead, Bankhead, Waulk Mill, Bush, Coveyheugh Mill, Shawbraes,Howburn Mill, Fairlaw,Greenhead, Newmains, Muirmontrig, Sunnyside, Swansfield, Horsely, Wardiebank, Greenburn , Auchincrow, Grammar Hall, Hollands, Brockholes, Renton Bush, Houndwood, Westwood, Greenwood, Alton, Rentonwood, Renton Barns, Howpark, Harelawside, Grant's House, Butterdean, Scrog End, Mount Albon, Lemington, Hillend, Blackhill, Cairncross, Ale Water House, Bee Edge, Press, North Grange, South Grange, West Grange, Bogue Bank, Lawsmithy, Whitecross, Lawhill, Alemill, Highlaws, Hallydown, Fleurs, East Law, Milldown, Shore Village, Northfield, Wellworthhall, Bonar Dub, Killnow, The Bow, Bogangreen, Blackpots, Pilmuir, West Loch, Waterside, Lumsden, Doulaw, Moor House, Springhill, Leveret Lees, Burnside, Myrtlehall, Mossfield, Burnhead, Mossside, Dronhill, Fountainside, Hopefield, Newbegin, Hopestead, Woodside, Huxton, South Cala Know, North Fala Know, Silverwells, Abbeypark Templehall, Buskinbrae, Crosslaw, Bogangreen. 1861 census: Coldingham, Law, Whitecross, Bee-edge, Alewater, Cairncross, Blackhill, Alemill, Clay House, Highlaws, Biglawburn, Hallydown, Fleurs, Paddockmire, East Law, Bonnerdub, Milldown, Burngreen, Kirkgate, Bridgend, Burnside, Kilknowe, Townfoot, Scabeyburn, Blackpots, West Loch , Waterside, St. Abb's Head, Northfield, Shore.